For the past few years I have sought God for a ‘word of the year’ that might help me better recognize what He was doing in my life. I repeatedly asked for the word “thrive,” but instead, He gave me me “notice,” then “perspective” and “flourish” for a few years. I was scared of the disappointment that may come if ‘flourish' didn’t come true for that year, but God confirmed that word was His promise and my challenge regardless of the circumstances. I have been on a journey of pain, discouragement and challenge in this season, but God has been with me and for me. 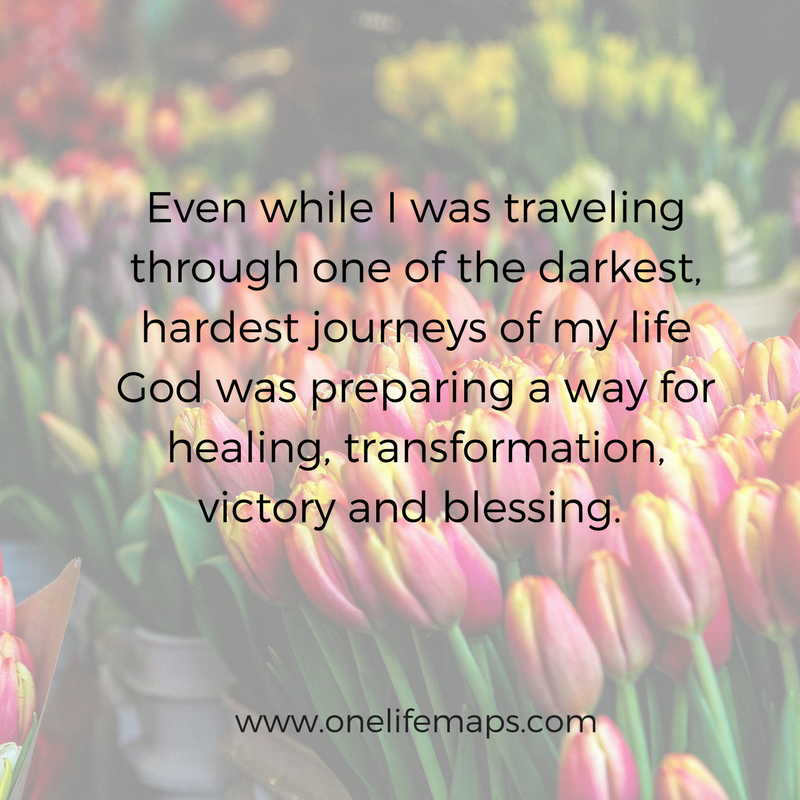 He has allowed intense and hurtful experiences to change me, transform me and free me. Through it all God has required me to trust, to let go, to reach out, to forgive and to receive. 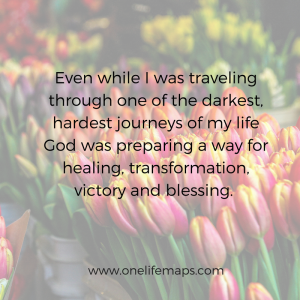 Even while I was traveling through one of the darkest, hardest journeys of my life God was preparing a way for healing, transformation, victory and blessing. He continues to lead me and guide me through the pain of my past and the pain of my present into freedom, release and victory over the shackles that have bound me. He has also allowed me to not only see His goodness but also the goodness in me. At a Listen to my Life retreat, we were talking about lingering questions and if our questions reflected a “victim,” “survivor” or “thriver” state of mind. I realized that the word God had given me for the year 2017 to “flourish” was beyond a “thriver” word (and promise) that I requested from God, but it was a lingering question phrased, “How can I flourish in the midst of my difficult circumstances?” During that time, God gave me the quote “And she FLOURISHED because everything she does is based on Thriving rather than just Surviving!” In retrospect, God has been faithful to his promise to ‘flourish’ me, and this year gave me “JOY” for my word for the year.